This pergola is quite tall at 2.8 meters high. 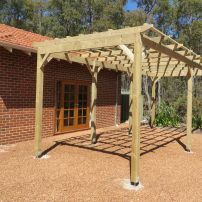 This 6 X 3.5 pergola is 2.8 meters high. 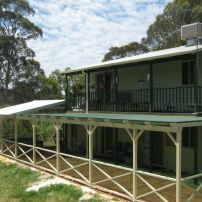 Small pergola at rear of house. 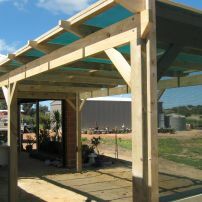 This is a 6 meter square pergola. 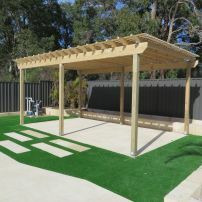 commented on "Pergola and Patio"
This pergola is 11 meters long and at the far end is a 4 meter wide gable roof patio. 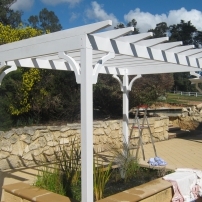 commented on "Pergola with Corner Brackets"
commented on "Pergola with Louvres"
This pergola has louvres at one end and Colourbond above the pool pump to keep the sun off. 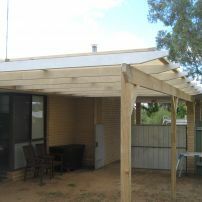 commented on "Pergola with Shade Cloth"
A 7 meter X 3 Meter pergola with shade cloth on top. 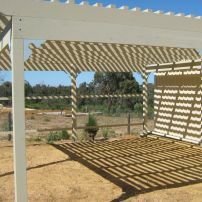 This pergola has 90% shade cloth on the top.